Australia has a number of cruise ports located in some truly wonderful cities, meaning its a great idea to tack on extra time either before or after your cruise to explore these vibrant cities. We’ve already shown you some tips for exploring beautiful Sydney, but now, we’re headed to Melbourne. For those starting off or ending their cruise in this beautiful city, guest contributor, Leslie Connor from Empty Nesters Travel Insights, who calls NSW Australia home, is here with her insider’s guide to Melbourne. Enjoy a stroll along the Yarra riverside. Explore Australia’s cultural capital when you cruise from Melbourne. The city is renowned for it’s theater, concerts, and international sporting events, as well as expansive gardens, shopping and memorable culinary experiences. When cruising from Melbourne, active boomers will find it hard to choose from the many activities available in Melbourne. All cruise ships from Melbourne dock at Station Pier on Port Phillip Bay. The pier and it’s heritage listed gatehouse have been the arrival and departure point for travelers since the 1850’s gold rush. The cruise terminal has a small cafe and gift shop to cater for passengers. Luggage storage is not available. Travelling between the terminal and the Melbourne CBD is simple. Either take a cab or the Route 109 tram from Southern Cross Station. This will take around 20 minutes. When staying in Melbourne, we usually choose the Mercure in Spring Street, located right opposite Treasury Gardens, for its convenient location. A free tram service literally stops at the front door and the hotel is an easy walk to the Melbourne Tennis Centre. If you have driven to Melbourne, the hotel does have limited parking, which you will need to pre-book. Flinders Street Station is a famous Melbourne Landmark. We’ve also enjoyed our stays at the Novotel Melbourne Central in Little Lonsdale Street. It is right near Flinders Street Station and Federation Square, perfectly situated to make the most of Melbourne Shopping. Look out for the free “hop on hop off” trams to get around Melbourne. 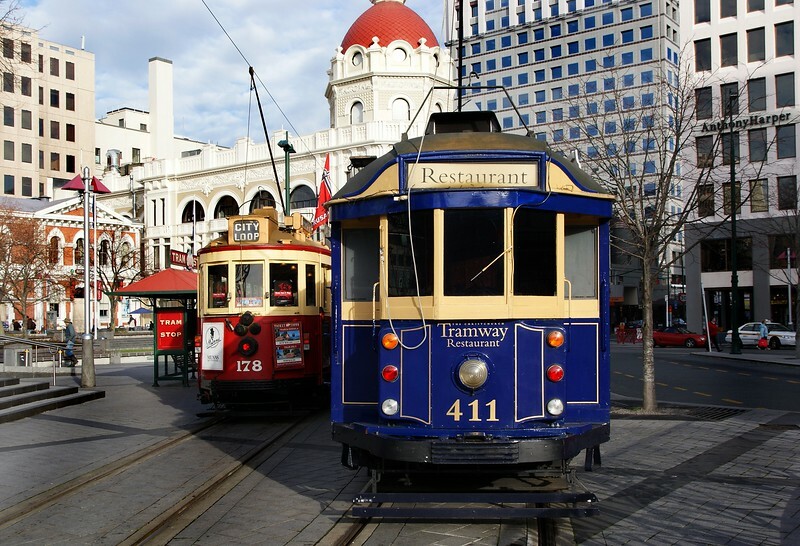 ; free hop-on-hop off tram which operates through the CBD. It takes 48 minutes to do a full loop of the city, giving you a great orientation along the way. Look for the maroon and yellow trams which operate every 12 minutes. Melbourne is a food-lover’s heaven, with an extensive range of dining options. We have a few special favorites places to dine when visiting Melbourne. Take a tram to Carlton and stroll along Lygon Street, the Italian precinct of Melbourne, where the famous “cafe culture” was born. Shaded cafe tables line the leafy streets, with a wide range of restaurants and cafes to choose from. From a simple pizza or pasta, to an a-la-carte dinner you will always find an enjoyable meal. Owners can be a little over-enthusiastic in touting for business, so do make sure you browse all the options before making a decision on where to eat. Docklands on the Yarra River is a great place to enjoy a waterfront meal. Whether you are looking for a good coffee at one of the quaint cafe’s, a quick Thai meal, or a luxury dining experience, there is a restaurant to cater for everyone. We particularly enjoy the seafood restaurants along the waterfront. Head into Chinatown in little Bourke Street for an authentic Asian meal. Dating back to the 1850’s goldrush era, Chinatown Melbourne is the oldest Chinese settlement in Australia. Browsing the alleyways between Bourke Street and Lonsdale Street you will find historic buildings, the Chinese Museum and many Asian restaurants and cafes. The Melbourne Zoo in Parkville is just five minutes from the city center. The Zoo has over 320 species from around the world housed in natural environments. The National Sports Museum at the Melbourne Cricket Ground exhibits memorabilia from some of Australia’s greatest sporting heroes. It also recreates some of the moments which have shaped Australian (and international) sporting history. The Old Melbourne Gaol in Russell Street was built during the 1800s to house the growing criminal population. Bushranger Ned Kelly is one of the gaol’s most famous inmates. Explore the historic bluestone buildings, viewing the cells where prisoners were held. Located in Southbank, Melbourne’s Eureka skydeck 88 is the highest viewing platform in the southern hemisphere. If you are game, a sliding glass cube will take you out nearly 300 metres above the city below. Melbourne is the ideal place to indulge in a little pre-cruise retail therapy. The term “shop until you drop” must have originated in Melbourne. Docklands on the Melbourne waterfront is a destination in itself. Stroll along the riverside and enjoy the public artworks, crossing the two contemporary bridges, which are masterpieces in themselves. Here you will find a wide range of retail outlets as well as cafes and restaurants catering for everything from a quick take-away to a full gourmet experience. The area also hosts a range of attractions including the Melbourne Star ferris wheel. Federation Square is where it all happens in Melbourne. More than 2000 events per year are held in the square and it is also home to a range of galleries, permanent exhibitions, cafes restaurants and bars. Each Saturday book lovers can trawl through the book market in the Atrium. From here you can also enjoy a cruise along the Yarra from Federation Wharf, or hire a bicycle to explore the parks and gardens. 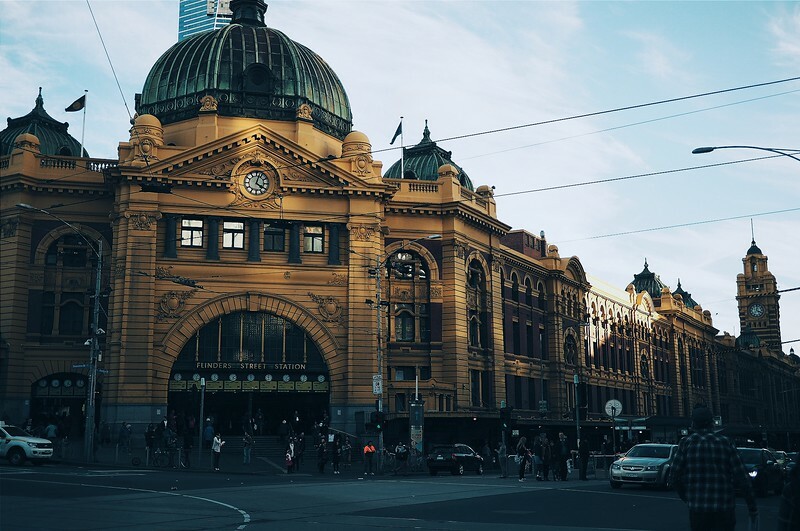 Bourke Street Mall, the heart of the Melbourne business district is the place to head for some serious “retail therapy”. Who can resist a sale from the major department stores? Just listen for the bells of passing trams before you amble across the mall. Queen Victoria Markets on the corner of Elizabeth and Victoria Streets is the largest open air market in the southern hemisphere. Browse through produce stalls, jewellery, clothing, arts and crafts and souvenirs. You can also take a two hour “Ultimate Foodie tour” sampling the best the markets have to offer. The Royal Exhibition Building in Carlton Gardens is the oldest remaining exhibition building. 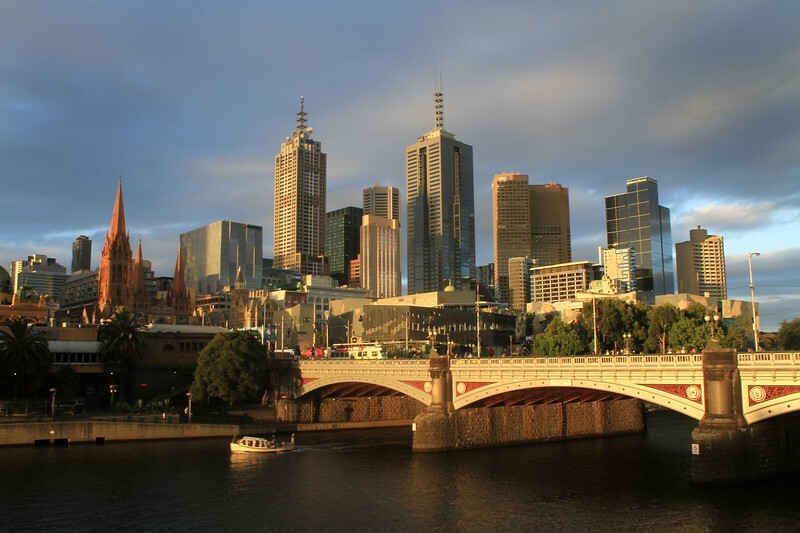 Melbourne is also a great place to soak in some culture or learn a little history. The Royal Exhibition Building was built for the 1880 exhibition and is one of the world’s oldest remaining exhibition pavilions. It was listed as a UNESCO World Heritage monument in 2004. It currently hosts trade fairs, shows and cultural events, including the annual International Flower and Garden show in the surrounding Carlton Gardens. 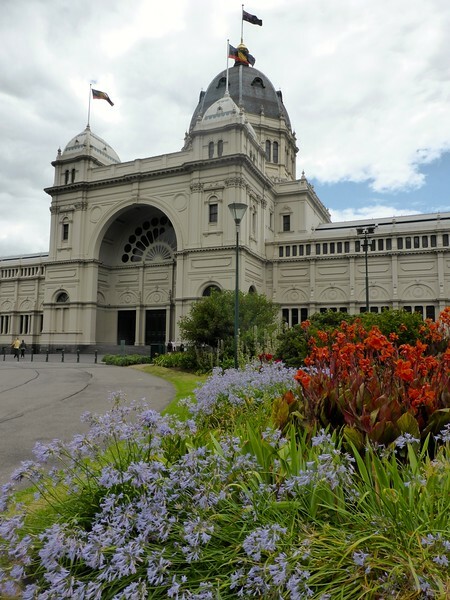 The Melbourne Museum is located next to the Royal Exhibition Building and Carlton gardens. Here you will find the famous race horse, Phar Lap and skeletons of prehistoric creatures. Also take the opportunity to examine crawlies from a safe distance in the “Bugs Alive” exhibition. The National Gallery of Victoria is the oldest gallery in Australia. The significant collections hold over 70,000 artworks spanning thousands of years and the gallery hosts regular special exhibitions. When you explore the magnificent parks and gardens around Melbourne, you will begin to understand why Victoria is known as “The garden state”. Surrounding the Royal Exhibition Centre you can enjoy a picnic beside the ornamental lakes in the 19th century Carlton Gardens. The gardens host the annual International Flower and Garden Show in March each year. As well as the magnificent flora, look out for the fauna. 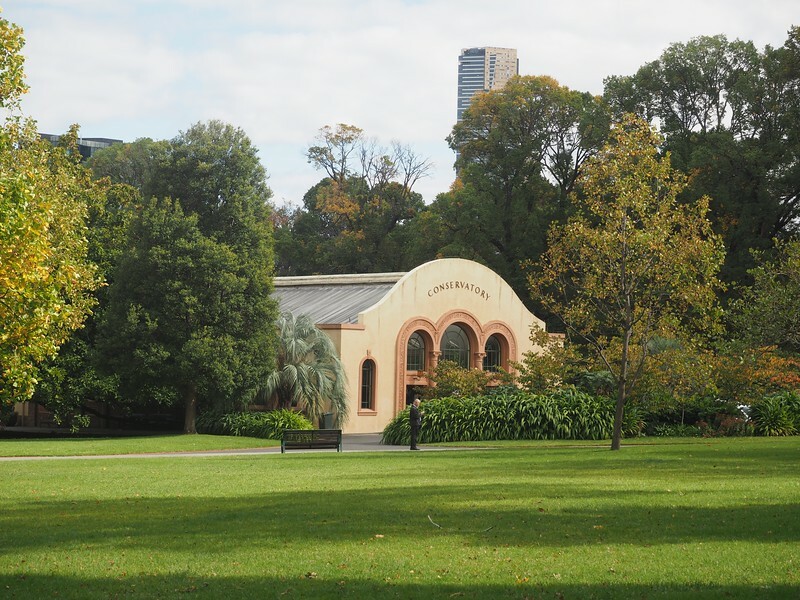 Stroll through the Royal Botanic Gardens, where during the summer months you can enjoy outdoor cinema and theatre performances. Visit the Treasury Gardens on the edge of Spring Street. Here you will find a Robert Burns Memorial, statues of Victorian politicians and a colony of brushtail possums. Magnificent floral displays in the Fitzroy Gardens conservatory. If you only have time to explore one garden, the Fitzroy Gardens right in the heart of Melbourne is a must-see. This has always been one of our family’s favorite places. Stroll through avenues lined with English elms, ornamental shrubs and flowers, landscaped with water features and sculptures. Don’t miss the magnificent floral displays in the conservatory. 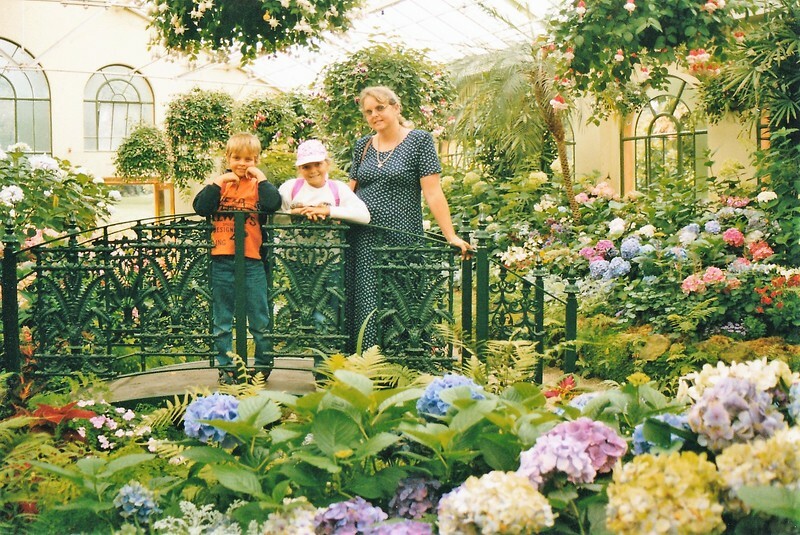 Don’t miss the conservatory at the Fitzroy Gardens. There is also a miniature Tudor village, Ola Cohn’s famous “fairy tree” carving as well as a reconstruction of Cook’s Cottage. 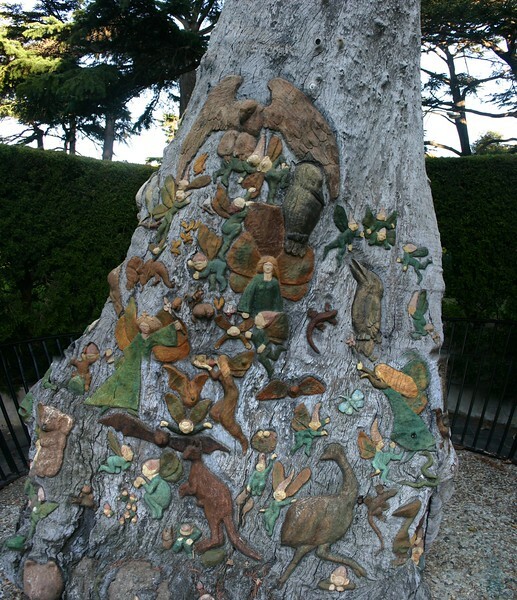 Olga Cohn’s famous carved “Fairy Tree” has been a favorite for generations of Melbourne visitors. 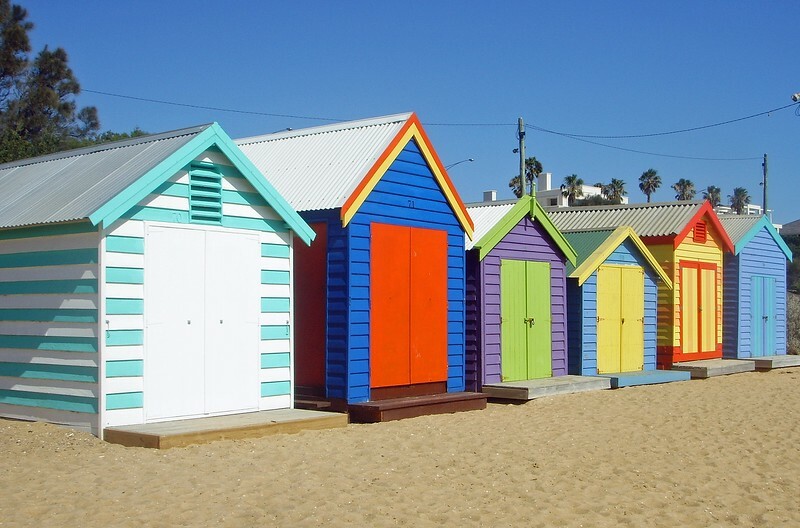 Take a tram to Brighton Beach and see the colorful beach boxes. Fancy a day on one of Melbourne’s famous beaches? They are only a short tram ride away. Take a tram from Melbourne University, Swanston Street out to St Kilda Beach. Enjoy a swim in summer, walk along the pier and see the resident fairy penguins, or enjoy the Esplanade markets every Sunday. Take the No 24 tram out to Brighton Beach to see the iconic Victorian beach boxes. The vividly painted boxes lining the shore on Dendy Street beach have become a major tourist attraction. You will find no end of restaurants, cafes and fast food outlets to enjoy lunch beside the sea. Melbourne has so much to offer before your cruise, you will find yourself wanting to come back to experience more. Looking for active travel options in Australia? Check out our tips for hiking the Great Ocean Walk, which runs along the southern coastline of Victoria. Did you know that we publish a weekly broadcast with the latest articles from My Itchy Travel Feet, timely trip inspiration and travel deals? Subscribe by clicking here and checking the “Weekly Updates” box. We offer a monthly newsletter, too. Why not sign up for both? Lesley Connor is a former journalist, living on the pristine south coast of NSW Australia. Combining her passions for travel and writing, Lesley and her husband Ian share recent and upcoming travels with fellow empty-nesters looking for inspiration and travel tips when planning their first overseas adventure through their blog Empty Nesters Travel Insights.